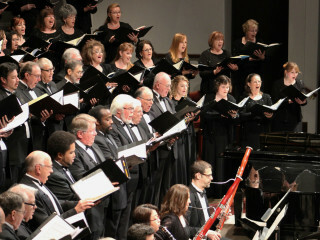 The Houston Choral Society presents A Celtic Celebration! The Houston Choral Society will present Letters from Ireland for St. Patrick’s Day, a Choral Suite arranged by Mark Brymer which includes many Irish songs interspersed with a set of narrated letters from Irishmen to family and friends in America. “Love Changes Everything” by El Divo will also be offered, as well as other Celtic music to round out the evening.